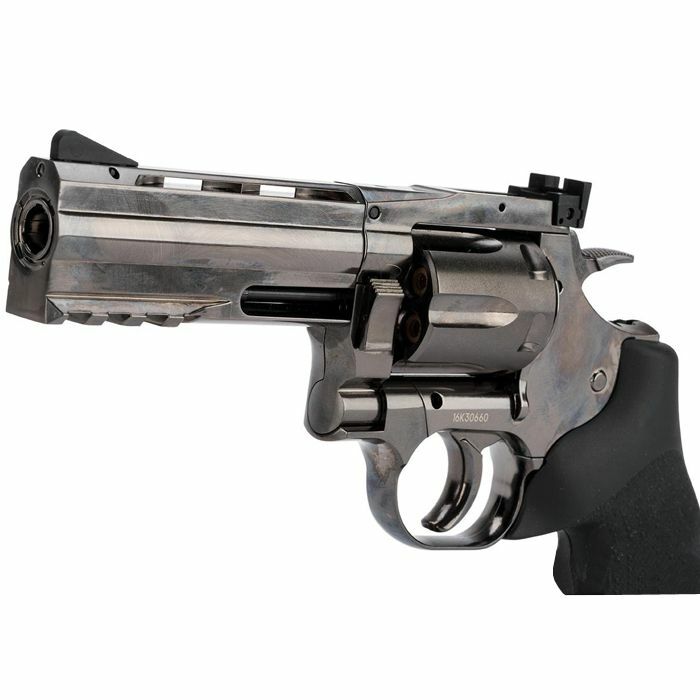 The style, power, and performance of the Dan Wesson .357 Magnum have been precisely recreated in this BB revolver replica. 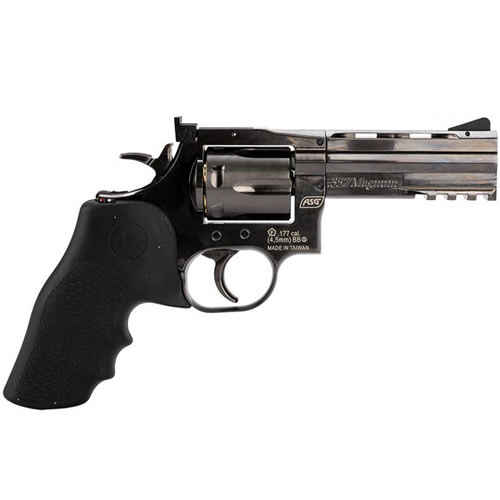 The mid-size 4” barrel offers a higher FPS than the snubnose model, but maintains a compact and maneuverable frame. 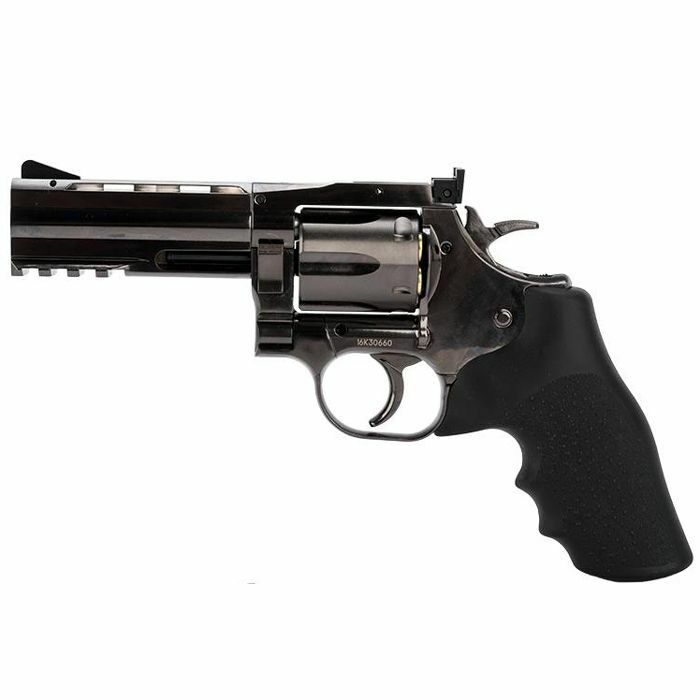 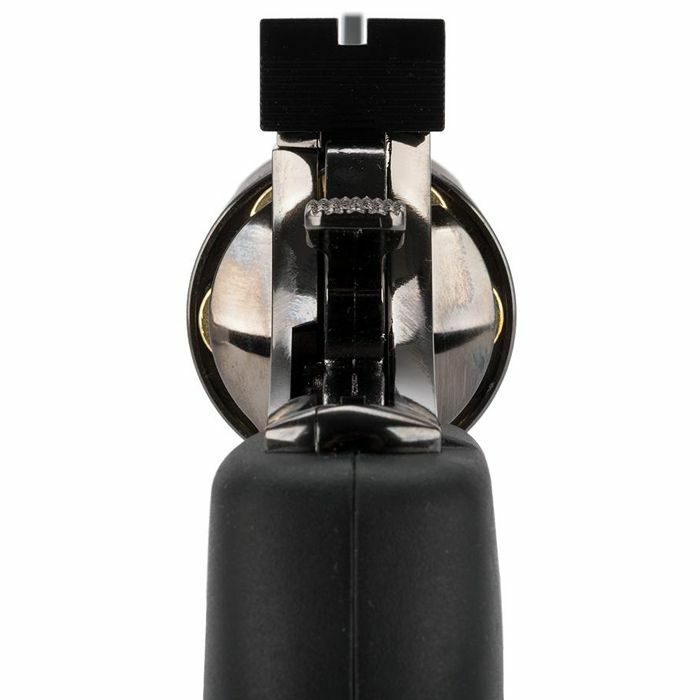 The full metal cylinder rotates clockwise with a forward latch, just like the real steel gun. 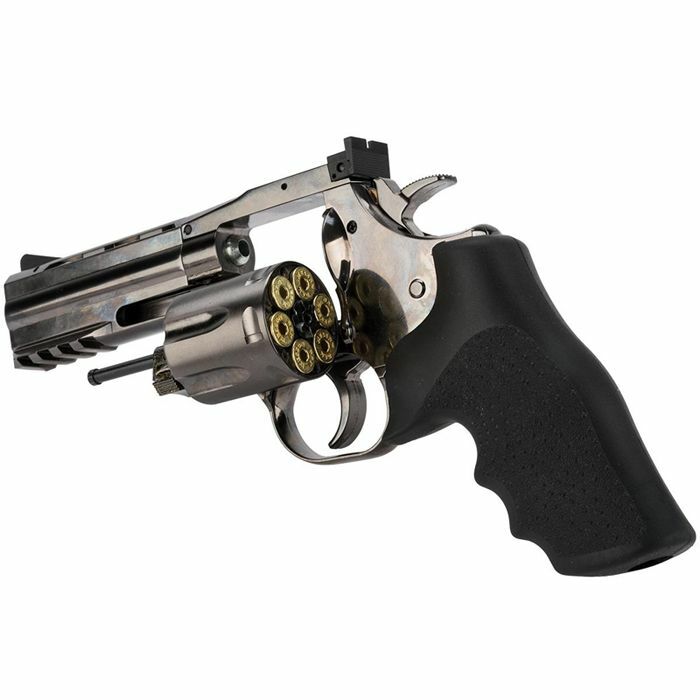 Package includes 6 cartridges and a speedloader.